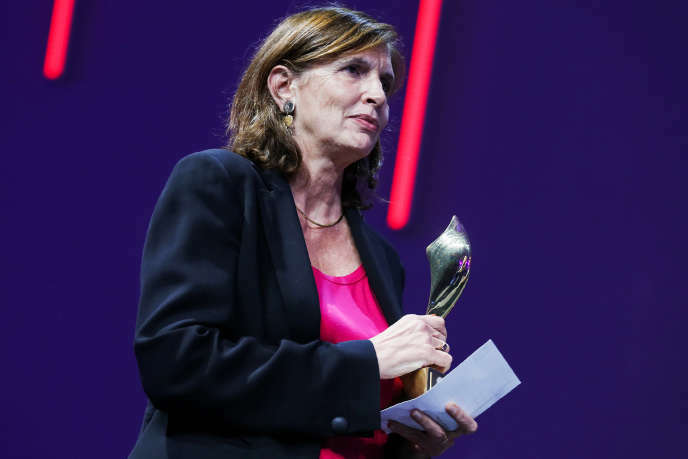 The Agence France-Presse (AFP), one of the three major international agencies, will live a year 2019 full of transformations: the first was the announcement, Tuesday, January 8, by the director of information, Michèle Léridon, of his upcoming departure. The one who succeeded Philippe Massonnet, in August 2014, reserved the first time for his troops, during the traditional morning writing conference: "I pass the witness", she explained, according to an editorial note addressed to employees of the company. She explained to have ensured, since spring 2018, the transition, at the request of the new CEO, Fabrice Fries. The latter had been appointed to the general surprise, while his predecessor, Emmanuel Hoog, present since 2010, had run for a new term. But the government representatives on the board of directors had withdrawn their support at the last moment, resulting in his withdrawal from the race and the appointment of Mr. Fries, magistrate at the Court of Auditors and former president of Publicis Consultants. While the agency is facing a drop in revenue and an increase in expenses, Fries wants to initiate a plan for voluntary departures not replaced, with the removal of 125 positions over five years. AFP, which should post a loss of 1.7 million euros for 2018, will receive exceptional support of 11 million euros from the state in 2019 to carry out this project contested by the unions. " We have arrived at a new stage. It takes new energy to wear it ", explained to World Mme Léridon. In a Tweet, the SNJ decided that his departure "Sounds like a disavowal of an unsustainable job-killing plan, which must affect dozens of journalists' posts". "I will not talk about disavowal, there are savings to be made, we have clients who are not all healthy, this work is necessary, but another energy is needed"replied Mme Léridon, estimating "To have done one's part", in particular by continuing the development of video and by increasing the competence of the agency in the field of fact-checking, all in a period marked by strong news (conflicts in the Middle East, attacks in France, etc.) . The announcement of her departure was precipitated by another professional opportunity, she explained, without specifying whether she remained at the agency or not. Tuesday morning, Mr. Fries said he wanted to replace her "In good order and in consultation". Contacted by The worldhe was not surprised by the departure of Mme Léridon and praised his professionalism. "I will soon announce his successor"he said.